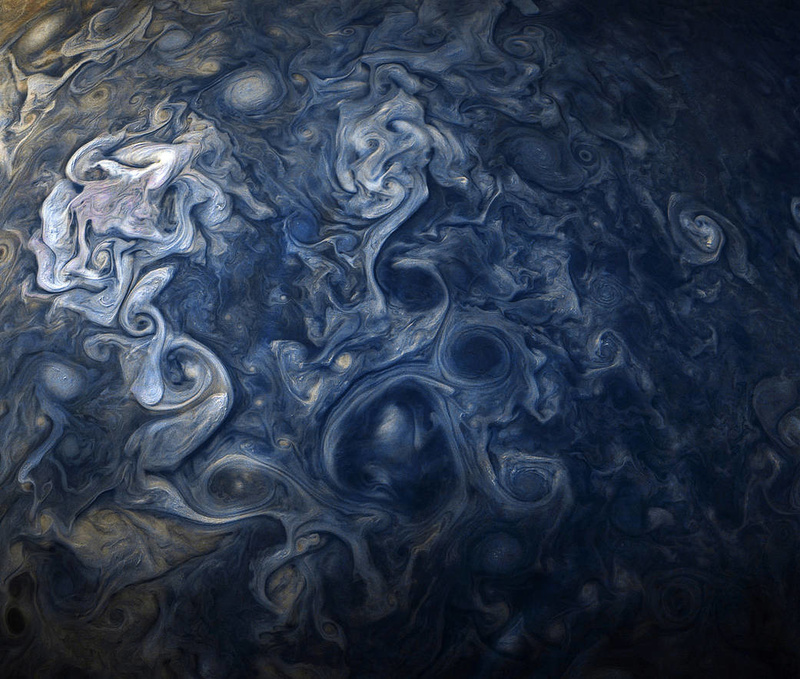 Since 2011, NASA’s Juno project has been focused on seeking a further understanding of planet Jupiter, and the progressions that led to the creation of our solar system. The spacecraft was created in order to examine more closely the atmosphere, magnetic force field, and dense cloud coverage of the planet. 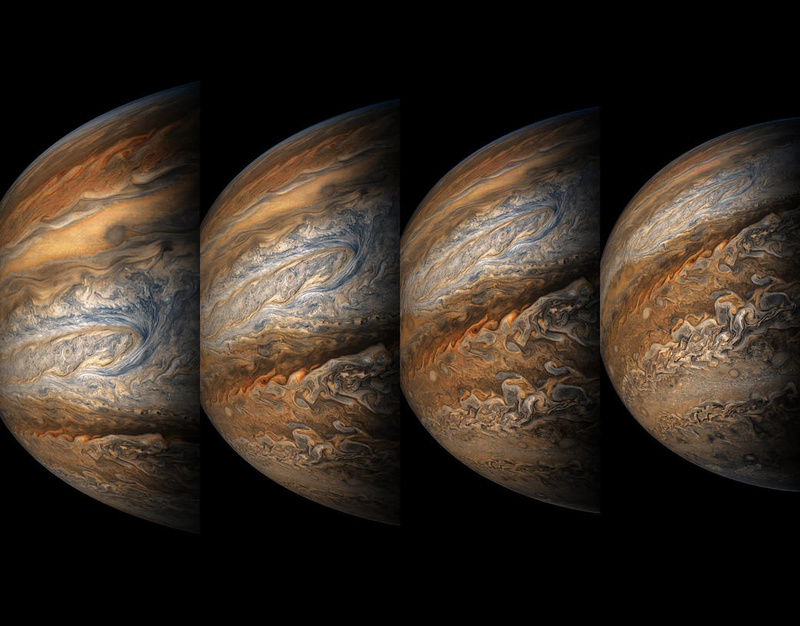 This series of images was captured over the past year, showcasing Jupiter’s gaseous composition. 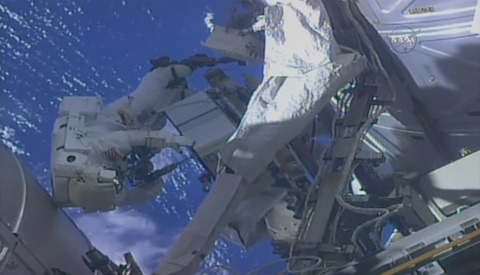 The photos are predominantly blue and yellow in color, with a swirling pattern visible on the planet's surface. 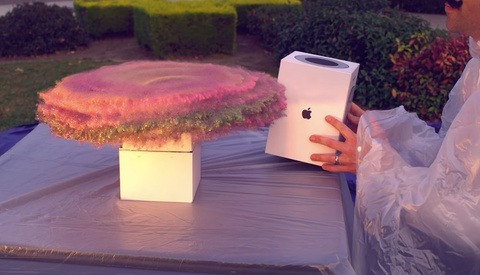 You’d be forgiven for thinking the close-ups in particular were taken from conceptual, fine-art watercolor paintings. 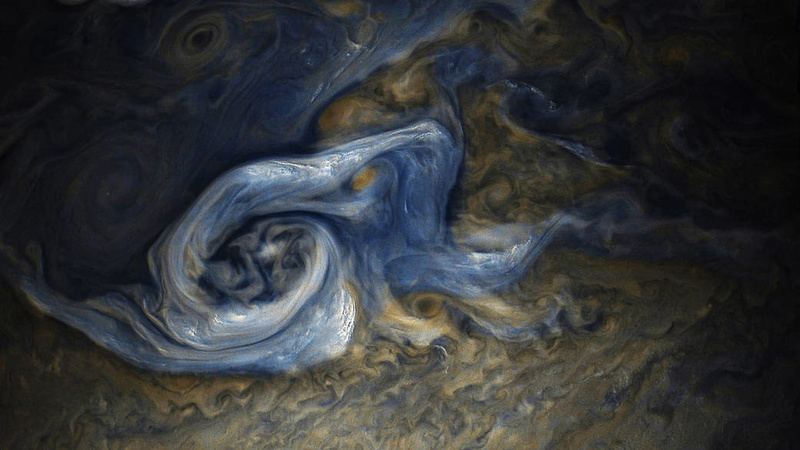 The below image shows Jovian clouds, in various shades of blue. 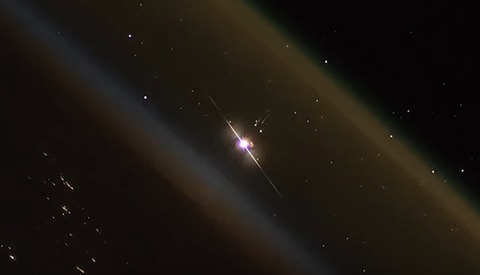 This image was taken when the Juno craft was “only” 11,747 miles away — approximately the same distance between New York City and Perth, Australia — and was captured in October of this year. 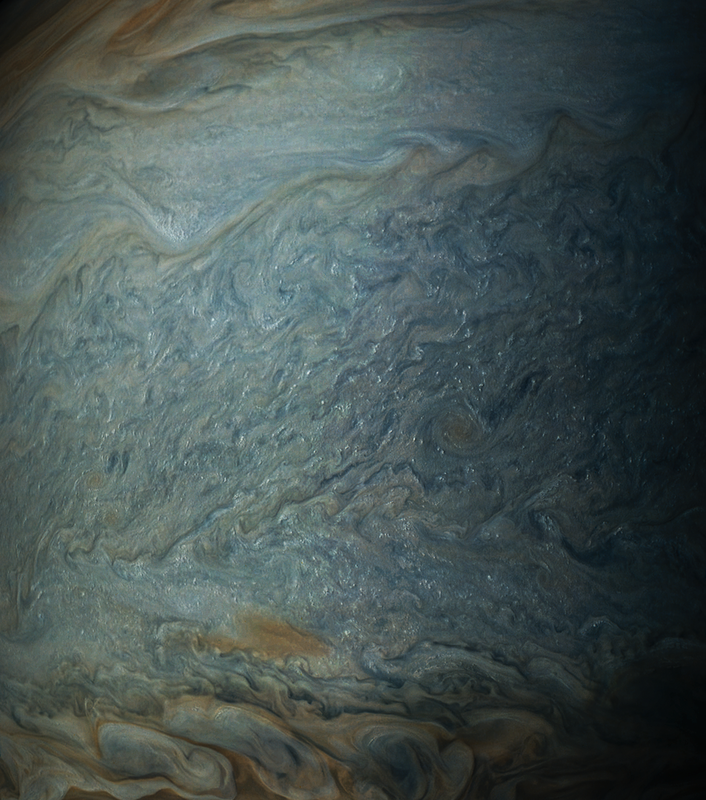 Because of the Juno-Jupiter-Sun angle when the spacecraft captured this image, the higher-altitude clouds can be seen casting shadows on their surroundings. The behavior is most easily observable in the whitest regions in the image. maybe they are water color paintings. we only know what nasa wants us to know. NASA: Protecting us from reality since 1958. Aw come on man! Science deniers, even here? 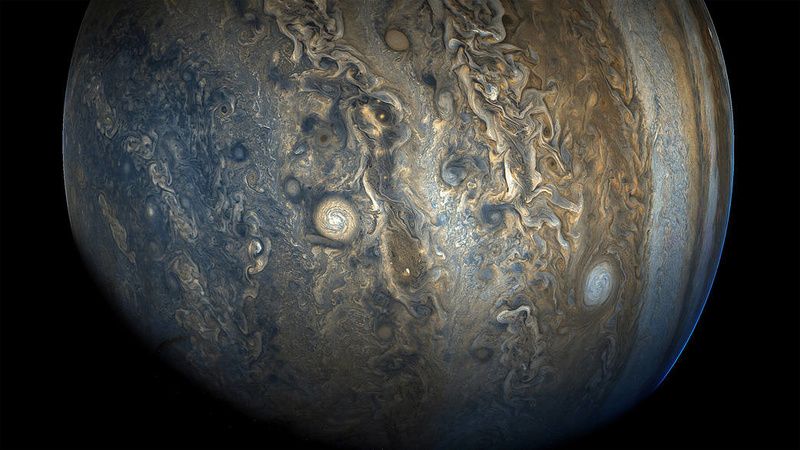 Great "pics" of 588 million kilometers Jupiter and they can show a good one of earth. Once again proving the earth is flat.